Online shopping can be daunting and intimidating for first timers most specifically to those people who never had any prior online shopping experience. That is not the case in the Philippines online shopping mall Lazada . This newcomer in the online shopping industry has made online shopping a very fun and enjoyable undertaking (of course shopping should be fun) by making online payments very direct to the point and complication free. The company has made payments very easy on their website by narrowing everything down to two methods of payment only. Okay you might ask how can the company make paying on their website easy if they can only offer two methods of making payments while the other online shopping companies offers more than three ways to make payments. Well that argument might make a lot of sense, but here is the thing, have you ever heard of the saying too many cooks in the kitchen or too many cooks in the kitchen spoil the broth? If you have not heard of it that is okay, here is what that means, this is an English idiomatic expression that means if there are too many people involved in an endeavor or undertaking, they are bound or much more apt to not accomplish the task at hand given the higher chance of them having differing opinions about a certain subject or task. If people can’t agree and have a common direction then things are bound to fail pretty much like what happened to the tower of Babel where everything got messed up when people started uttering instructions in a whole slew of gibberish languages and dialects. Anyway, that is another story, but that is the analogy on how Lazada probably came up with the strategy of simplifying things up. It is more understandable that way and less confusing for a lot of consumers. The two payment methods that are currently in effect in Lazada Philippines are the credit card payment method and cash on delivery payment service. Both have their advantages depending on the consumer’s preference. The credit card payment method of course is the most common way to make a payment in the online shopping world. It is the default payment method that a lot of seasoned online shoppers know and use but is less popular in developing economies and countries. The other one, the cash on delivery payment method is the payment method that provides everyone the chance to shop online even despite the lack of credit card. This is the great equalizer in online shopping. It allows pretty much anyone with an internet access to buy things from the online store and have the item paid when it arrives. Like what I have said, both are good payment methods depending on the preferences of the user. I for the most part prefer the credit card payment method but I am open to use cash on delivery should there be instances wherein I do not have enough line of credit. 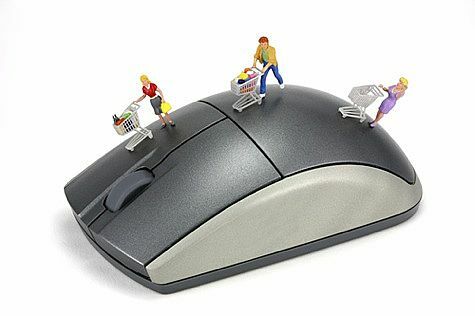 It is definitely online shopping simplified.